From our Soiree family to yours, here's wishing you peace, joy and happiness this holiday season. This beautiful image was captured by the talented duo Justin & Mary Marantz. 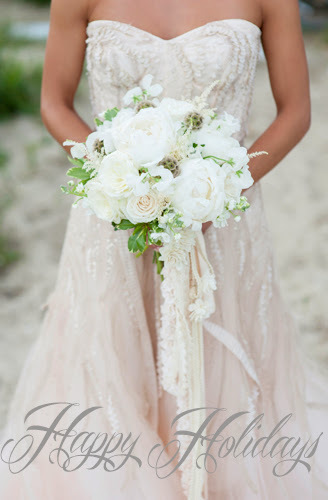 We styled and designed a shoot with them on the beach in Nantucket. More to come on the blog soon. Gown provided by L'elite Bridal.